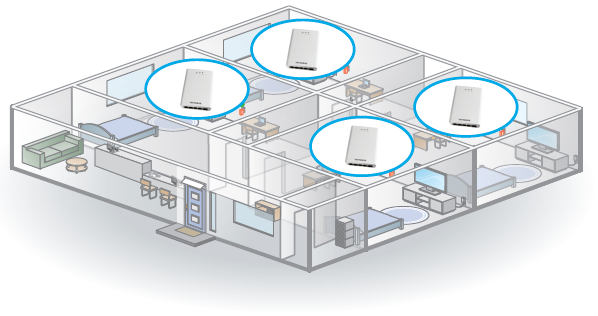 Powered by 802.11af Power over Ethernet (PoE) for flexible deployment and reduces cabling runs. WN370 can be installed easily and does not need sophisticated skills of engineers. WN370s are generally deployed in room, especially effective in areas where deploying the access points in traditional locations (such as ceiling mounted or hallways of dormitories and hotels) are not feasible. Because the WN370 is designed to provide coverage in a specific room, where the RF containment is more well defined, no extensive site survey is required. 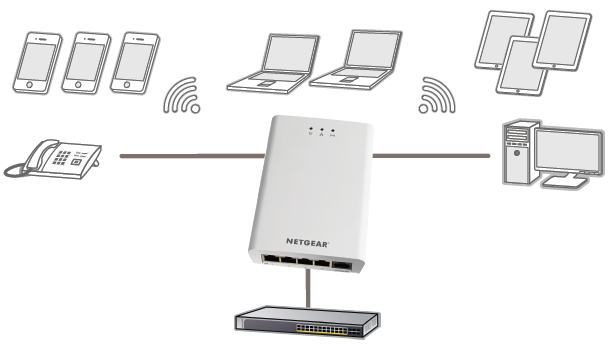 Finally, because the WN370 comes with four Ethernet ports, users can plug in multiple wired devices without the requirement to pull additional cables from the access point to the wiring closet, thereby saving both time and money to meet the requirements of multiple Ethernet ports per room. 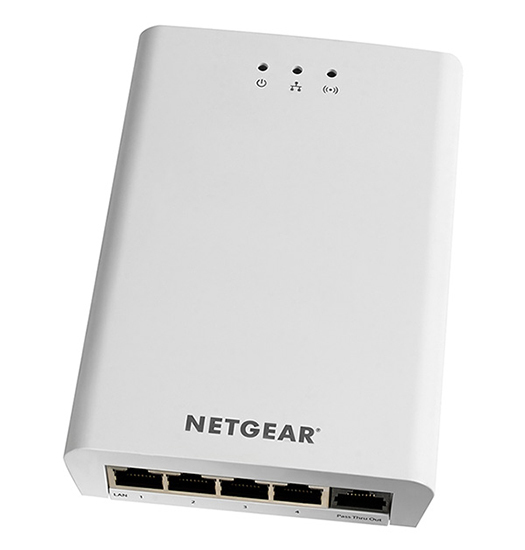 Download the NETGEAR WN370 Datasheet (PDF).